A seven-story mixed-use development with up to 235 apartments and ground-floor retail/office in South Market Street between Reed and Pierce has been proposed. They are shooting for a "modern urban project" that will "elevate the pedestrian environment downtown and make this a model for urban design." This will replace a parking lot and the buildings housing SLG Art Boutiki and Audio Design Car Stereos. Chromatic Coffee has purchased the Realty Building at 15-25 N. Second St. and has started micro-roasting coffee. Their ideal setup long-term would be to have a cafe on-site at the roasting facility [!]. With all of the new dedicated bike lanes Downtown, there is now a proposal to ban riding on sidewalks in the Downtown core. 61 solar-powered SmartMeters that accept VISA and MasterCard have been added on Market Street and Park Avenue around Plaza de Cesar Chavez. Wickedly Fast WiFi launches Downtown and is one of the fastest free outdoor WiFi systems in the country. Groundwerx has commissioned a team of artists to create a 200 foot long ribbon mosaic along South Second Street near Fountain Alley. The Friday Farmer's Market is returning on May 3rd. I was at MUJI yesterday (Monday) evening around 6pm, and unfortunately it was pretty empty. When I made my purchase I asked the cashier how business has been so far, and she said it had been steady after the initial burst, but it seemed like a lot of people are just discovering that MUJI is there and many others don't know about the store. I hope the Downtown Association and other groups can help raise awareness of MUJI, because I think keeping it in business will be critical to downtown's retail success. I have been there twice so far, once on opening day (packed) and last Friday night(pretty full). Completely agree that we need to do everything possible to promote MUJI. I love this store, they did a really nice job and easily created the nicest retail San Jose has seen in decades. I want this to be a trend, not a one time (or worse temporary) thing, so we need to make sure they succeed. Perhaps I should post info on their sales or special events similar to what I sometimes do for The Usuals or Cukui? Another idea would be if they advertise at Light Rail stations since it is ridiculously easy to access the store from rail. At the very least, we should all bring our friends to check out this place. We were there Sunday at noon. They averaged about 15 to 20 customers there for the hour that we were in the store. These downtown dwellers are hypocrites! First, they cried for a grocery store, and when they got one, they patronized it for the very first few months and let it languish after that. I'm talking about Market By Safeway. It's a well kept store may not have everything you need but good enough. My own friend, who lives downtown, drives all the way to ones on Meridian. The same goes for a really cool theater like Camera 12, which is in good condition and shows first run films. The downtown dwellers cried for a decent movie theater, and when they got one, they only supported it for the first 6 months. They lost interest after that and let it languish. The same thing happened to mid-sized concert venues. They still drive to SF or Santa Cruz. I don't have to mention Ross. It's the same deal. They're doing the same thing to Muji! Downtown should and never get stores like H&M unless there's an attitude adjustments on behalf of the downtown residents. They're the most hypocritical people I've ever seen: "We need this such and such" and never support it in the long run. Obviously to late for this, but I'm wondering if Muji was put in the right spot downtown. Was at San Pedro Square Market yesterday for lunch and it was jumping; vibe was in point. I'm thinking efforts should have been made to place Muji in the vicinity of the Market to take advantage of the critical mass now present. Hopefully the current location near the Fairmont will work out; especially with summertime festivals around the corner. Looking long term, if somehow Muji struggles at the current locale, perhaps relocation near the Market/SPS should be considered; either at the proposed retail of Centerra or 1 S. Market. Again, hope it works out and will plan to visit soon. A lot of renovation, construction going on at the old Sabor site. Any info on what's to come? Yup, this is going to be a huge restaurant and bar, something like 8,000 SQFT. It will also connect to the San Pedro Square Market somehow. I think Muji is in the right place (next to light rail, condos, hotels, etc.). In addition, the Paseo will be getting a boost when (in addition to the recently opened Vyne) The Blackbird Tavern and Whispers open. I hope that the former Sandellas (next to Baja Fresh) and Yoga Studio (between Camera and Blackbird) get new tenants soon in order to boost that area even more. "Brand new French bakery, coffee and yogurt shop need full or part time helper. Student seeking summer job ok. Call Kevin at 408-807-9909 for interview appointment. 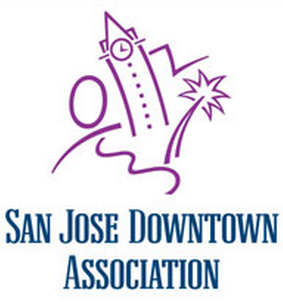 Location for job is downtown San Jose." This place is going in on 3rd and San Salvador where Polar Ice used to be. Since A Taste of Paris closed, we haven't had a French bakery downtown. I'm looking forward to it!